With the demise of the Port Lincoln herald George Dehane, a disgruntled ex-Register journalist, set out on his own. 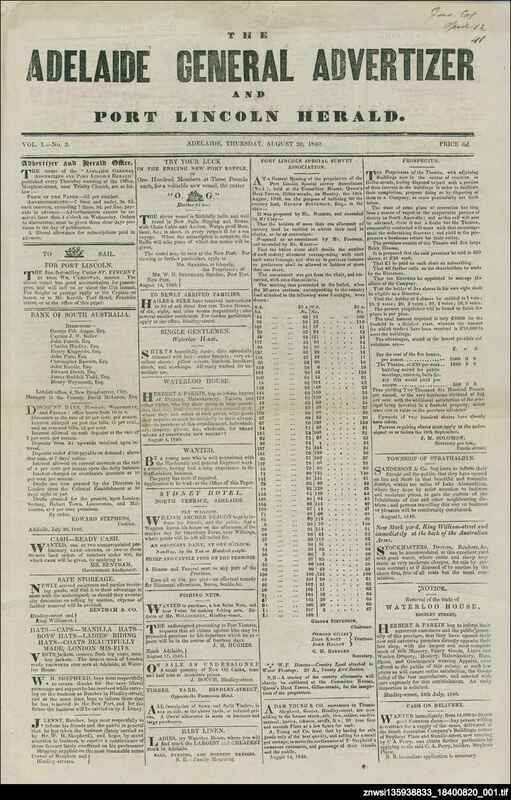 He produced this newspaper promoting the settlement of Port Lincoln in the year of the infamous Maria massacre. Many references to this event occur through the pages of the newspaper, which took a strong stand against the attitude of those seeking revenge on the Aboriginal people. Printing difficulties beset the newspaper, which on more than one occasion had to be printed at the office of the Southern Australian through the courtesy of its publisher, Archibald McDougall.